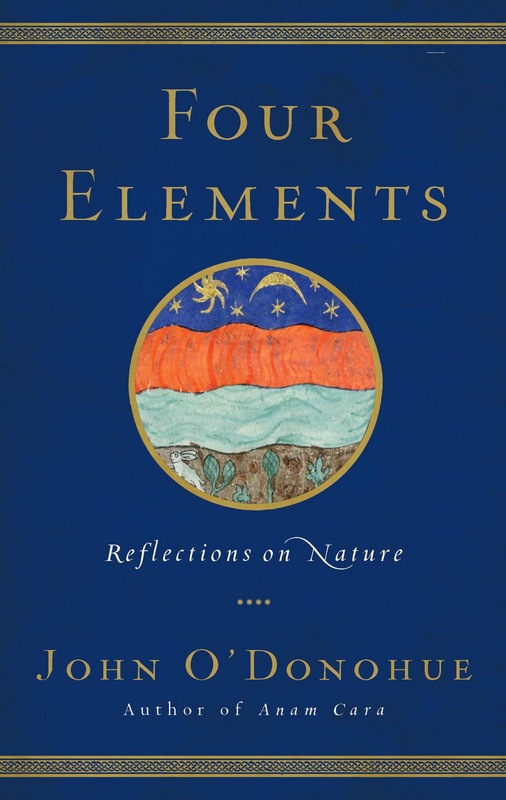 In the giveaway of John O'Donohue's new book, Four Elements: Reflections on Nature, the lucky winner is Catherine in Carolina. Catherine was the last person to enter. Congratulations Catherine! Thank you to all who participated in the giveaway. Keep your eye out - more giveaways to come in the near future. A big thank you going out as well to the sponsor of this giveaway, Harmony Books, the publisher of Four Elements: Reflections On Nature. 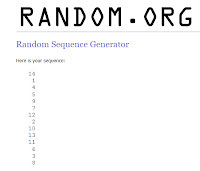 To determine the winner, I attached a number to each name in order of their appearance in the comment section. Those who live outside of the USA or Canada were not included, as were those who specified they did not want to be included. That left 14 entrants. 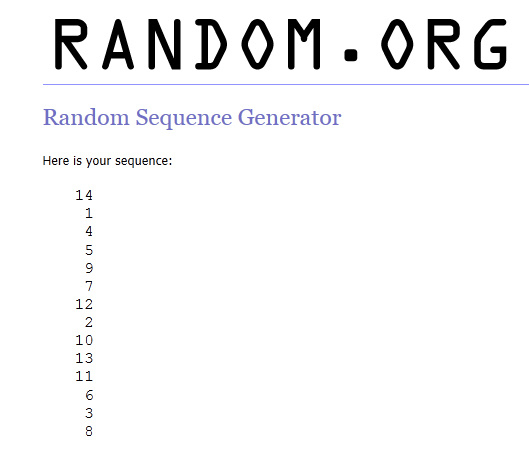 I used Random.org's sequence generator to randomly choose the number and it came up 14 - Catherine's number. Congratulations Catherine. 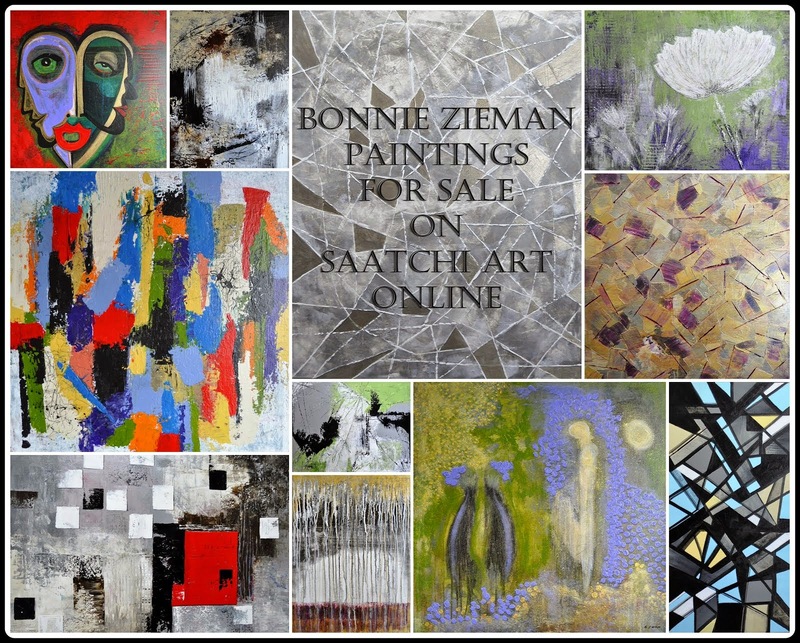 You have until Saturday, October 15th at 6:00 p.m. EST to contact me by e-mail giving me your co-ordinates. If I do not hear from you by that time, I will move on to Random.org's next number. Yay for Catherine! Lucky to have the book AND your wisdom! Thank you for the contest and for letting us know about the book and the beauty of John O'Donohue! Bonnie, so appreciate you and your generosity and gift of this book. I look forward to time well spent with the writings of John O'Donohue. I have emailed you my contact information. Yay for Catherine! From the words in her comment it truly sounds like a good fit for the book!